We are keeping a watchful eye on two games, both by Bandai Namco, which have so far only been available in Japan, but for which interest does exist in the West. What are the chances of localisation? Maybe the 'bridging' option of an English release for the Asian region will serve as a first indicator. The first game is a life simulation and rhythm game from Bandai Namco's Idolmaster franchise (the title is stylized as THE iDOLM@STER). The series, as the title suggests, is about prospective pop idols at a talent agency and the career of a producer who works with them. Originally released as an arcade game in 2005, the franchise has grown to numerous ports, sequels and spin-offs. An English version for the West had so far always been ruled out. Now, Bandai Namco will release The Idolmaster: Cinderella Girls Viewing Revolution for PlayStation VR in English in Southeast Asia via PlayStation Network this spring. It’s compatible with PlayStation Move, allowing you to wave around your glowstick. Bandai Namco Entertainment Asia announced it will release the PlayStation VR title Summer Lesson: Hikari Miyamoto with Japanese voice-overs and English subtitles in Southeast Asia via PlayStation Network in early 2017. Summer Lesson was the best-selling PS VR title in Japan in October 2016 with 27,000 copies sold digitally. Development began as an exploration into virtual reality and Summer Lesson was subsequently used as a part of tech demos for PlayStation VR worldwide. In Summer Lesson, players take on the role of a tutor, who helps student Hikari Miyamoto with her studies during summer break. The story is set over seven days and provides “life-like interactions” with Hikari. 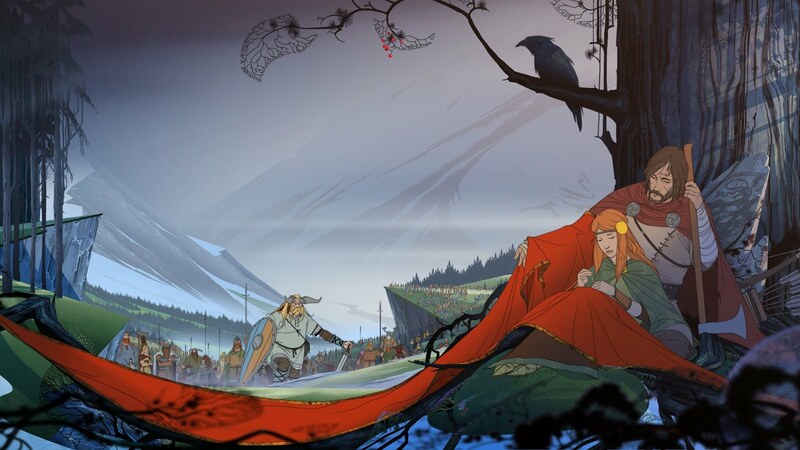 The third (and supposedly final) chapter in the excellent The Banner Saga series is now live on Kickstarter, with its developer, Stoic Studio, looking to raise $200,000 to cover development costs. The first The Banner Saga was also Kickstarted, and was indeed one of the darlings of the platform; in seeking to raise $100,000, Stoic was able to raise $700,000. For whatever reason, the second chapter didn't need Kickstarter, but we're betting on the third getting over the line too; it's already exceeded $100,000, at time of writing, with 41 days left to go. The third chapter will bring back all the talent that made the previous two games so incredible (including Austin Wintory as composer), and while there's no stretch goals at the moment, one would expect that we should all be hoping that this game well exceeds its base Kickstarter goal. At the Taipei Game Show, Nihon Falcom showed the first gameplay of Ys VIII: Lacrimosa of Dana for PS4. President Toshihiro Kondo focused on both Adol’s side and Dana’s side of the game with the trademark Ys fast action gameplay, and on the improved visuals compared to the PS Vita version. The game was streamed at 30fps but will in fact target 60fps; it will also support 4K resolution on the PS4 Pro. Visual improvements were also implemented, including anti-aliasing, God rays, soft shadows, volumetric lighting, and more. Loading times have been removed between the Drifting Village and the rest of the world. The story has been expanded with a new scenario revealing the unknown past of the heroine Dana. The PS4 Version of Ys VIII: Lacrimosa of Dana, will be released in Japan on 35 May; the PS Vita version was released last year in July. The previous game in the series, Ys: Memories of Celceta, was published in the West by Xseed Games and NIS America. No localisation for Lacrimosa of Dana has been announced so far — we really hope that XSEED and NISA will come to the party again. Compile Heart’s new PSVita-exclusive card battle game Nep-Nep Connect: Chaos Chanpuru will feature over 100 characters from across the developer’s games. Fan favourite characters will make a return including Neptune, Iffy and Compa from the Neptunia series, and Fang and Alyn from Fairy Fencer F.
The game is set in a once peaceful and balanced world, but over time “Chaos Energy” accumulated and infected parts of the lands. Slowly the chaos energy took over the hearts of citizens, but a girl named Yurina is determined to defeat the chaos energy. On her journey, she runs into a familiar face: Neptune. The combat of Nep-Nep Connect: Chaos Chanpuru uses a simple yet strategic “Advance Card Battle” system. You place the cards you have in your possession onto the field and advance towards the enemy encampment. The battlefield consists of 21 blocks that are divided into the ally and enemy encampments. Behind each encampment is a row of units known as your “lifeline.” The lifeline acts as the player’s HP; attack the enemy’s lifeline to reduce their HP to zero. Nep-Nep Connect: Chaos Chanpuru is due out this year for PS Vita in Japan as a free-to-play title.